Horizons will return to BBC World News for a fourth series supported by a responsive website and for the first time an app. 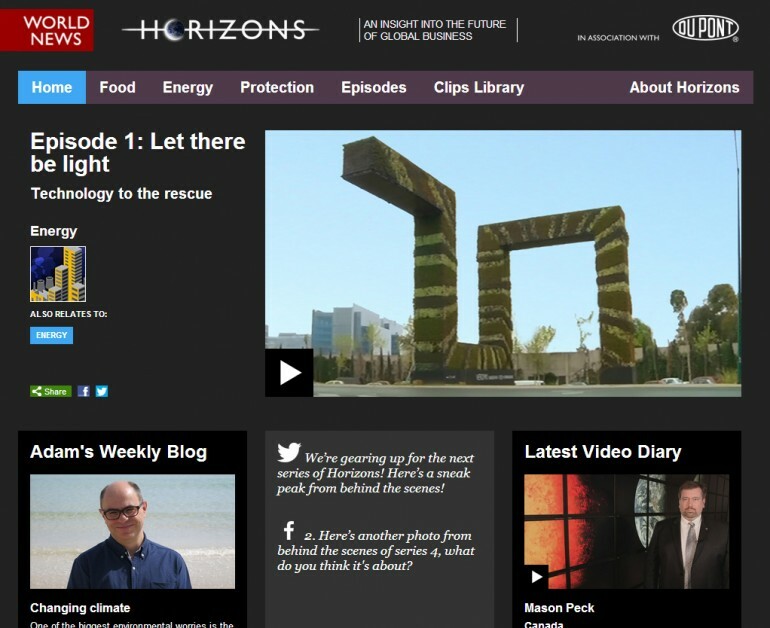 Developed by Twofour Digital in collaboration with BBC Global News Ltd.
Twofour also revamped the Horizons Business website to run alongside the 20-part series, offering more social features, exclusive information and video clips. I inherited the site from series 3 and was responsible for both the front and back end overhaul including making it responsive. Skill’s used – Custom WordPress theme development, php, SQL, WAMP, HTML5, CSS3, git, Illustrator, LESS.